Periodical indexes are not often considered valuable source material unto themselves. There is a tendency to see them simply as neutral orderings of objective reality. After all, how can a list of sources be anything more than a means to more (and better) sources? How can a list of sources contain an agenda or narrative? Quite well, it would seem. As curated lists of source material, indexes are susceptible to internal biases and narratives as least as much as the editorial cartoons we examined in a previous blog post. Every index is a human creation, and as the products of people—people with unconscious biases and —indexes have a surprising tendency to overstep their perceived boundaries and interact with society in unexpected ways. How can a list of sources contain an agenda or narrative? Quite well, it would seem. We will explore these ways in today’s blog post. Yes, indexes do reflect reality. However, they also have the capacity to uncover hidden connections in that reality, and—sometimes—even have the power to change that reality. Let us examine three notable periodical indexes which interacted with their societies and constituent material in these three ways: William Frederick Poole’s Index to Periodical Literature (“index reflecting reality”), the Jones and Chipman Index to Periodical Literature (“index uncovering hidden reality”), and the Royal Society of London’s Catalogue of Scientific Papers (“index creating reality”). Poole’s work, titled An Alphabetical Index to Subjects, treated in the Reviews and Other Periodicals, was so successful that it spawned an updated version (title shortened to An Index to Periodical Literature) in 1853, and a revision with supplements 1882. By the end of the nineteenth century Poole’s work had become the model for countless other indexes, creating an entire industry devoted to reflecting the realities of the periodical world. The one thing lacking was a way of systematically accessing the ever-widening well of periodical content. Others quirks of design can be pinned to the realities of Poole’s time. The lack of authors’ names in the index falls into this category, stemming from a common tradition in Victorian periodical literature: anonymous or pseudonymous writing. Though it runs counter to our own perceptions of authorship, articles largely went unsigned for much of the nineteenth century for political and personal reasons.6 Thus Poole’s omission here reflected a reality of nineteenth century life. Thus Jones—recognizing the connections being made between the judiciary and fields like economics and sociology—crafted his index to reflect these hidden ties, inviting further exploration by readers and scholars. The first volume of the first series appeared in 1867, covering authors’ names from “A” through “Clu” published from 1800 to 1863. Publication of volumes would continue for over a half century until 1925, eventually stretching to cover papers published from 1800 to 1900.14 However, what started as an attempt to make scientific papers more accessible ended up fundamentally changing the way scientific research was published and shifted the metrics by which individual scientists were judged. Furthermore, after 1867 scientists were increasingly judged by their output of papers, greatly accelerating the onset of the age of citation. 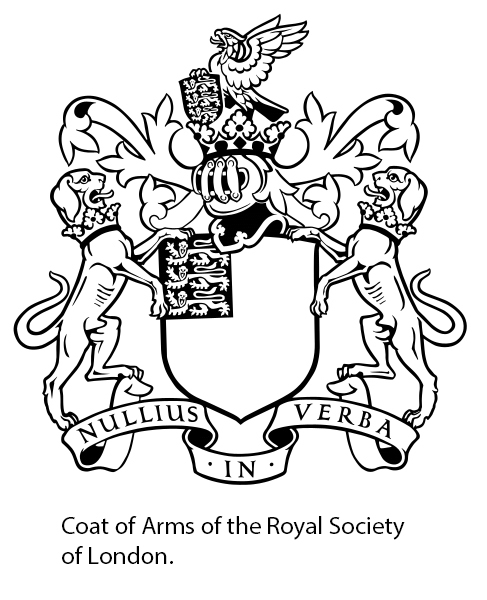 One’s stature as a person of science depended on having a robust list of articles in the Catalogue. As early as the 1870s, obituaries for prominent scientists were citing entries in the Catalogue as proof of a life well spent in the pursuit of science. These three examples—Poole’s Index to Periodical Literature, Jones’s Index to Legal Periodicals, and the Catalogue of Scientific Literature—serve to illustrate three different ways indexes have interacted with society. However, it would be a mistake to assume that they only interacted in the manners delineated here. 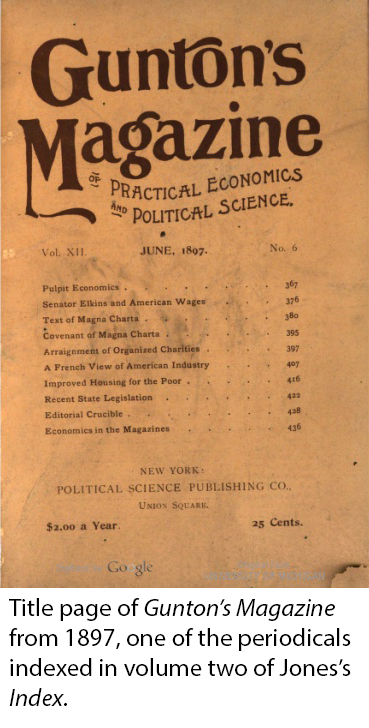 Poole’s Index, in presenting the benefits of cataloging periodicals, directly contributed to the creation of the other two indexes discussed here—a clear “change in reality.” The Royal Society’s Catalogue did reflect a preexisting reality in scientific publishing (albeit a limited one), as did Jones’s Index to Legal Periodicals in the judicial world. Each index interacts with its respective surroundings in a multitude of messy and ill-defined ways, and these interactions can be visible to scholars looking in the right places with the right lens. This illustrates an additional, and final, point: periodical indexes can be valuable as source material in their own right, illuminating historical truths as effectively as their cited periodicals. Walter Houghton, “British Periodicals of the Victorian Age: Bibliographies and Indexes,” Library Trends 7, April 1959, 555. 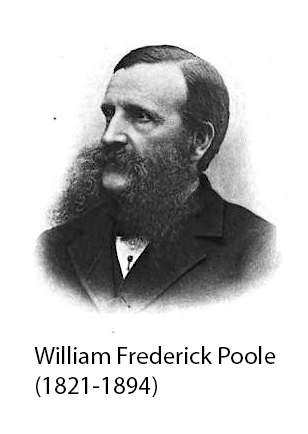 William Frederick Poole, “Preface,” Poole’s Index to Periodical Literature, Revised Edition, Vol. I.—Part I. A – J (Gloucester, Mass. : Peter Smith, 1963), iii. These issues have since been somewhat alleviated thanks to modern computing technology. In 1967, Vinton Dearing’s Transfer Vectors for Poole’s Index to Periodical Literature connected relevant dates to Poole’s citations, accomplished by way of computer analysis of the text. Vinton’s additions have been incorporated into Poole’s Index entries in 19th Century Masterfile, and are available to current users of the database. Current users can also read more about Poole’s Index in its resource description. Eugene P. Sheehy, Guide to Reference Books, 10th ed. (Chicago and London: American Library Association, 1986), 230. William Frederick Poole, “Preface,” An Index to Periodical Literature (New York, Charles B. Norton, 1853), vii. The index is often called “Jones and Chipman” after Frank E. Chipman, the editor who took over production after Jones’s death in 1909. Leonard A. Jones, “Preface,” An Index to Legal Periodical Literature (Boston: The Boston Book Company, 1888), v.
 Leonard A. Jones, “Preface,” An Index to Legal Periodical Literature Vol. II., 1887-1899 (Boston: Boston Book Company, 1899), v.
 The guise of neutrality is one that has clouded publications like the Catalogue for a long time. As stated by science historian Alex Csiszar in his 2017 article: “As an act of canon formation, the publication of the Catalogue of Scientific Papers is among the most significant moments in the history of scientific publishing. 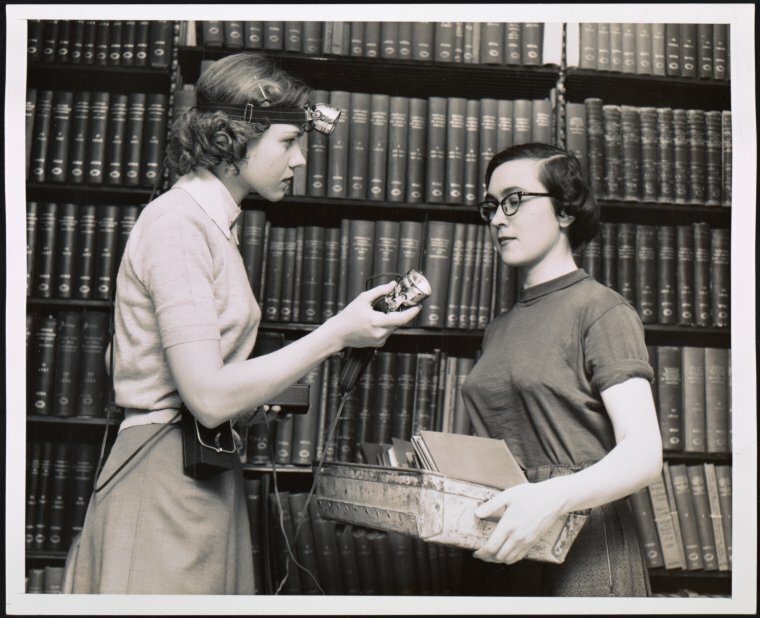 But because bibliographical tools tend to become part of the invisible infrastructure of research, the Catalogue’s significance has been overlooked.” Alex Csiszar, “How Lives Became Lists and Scientific Papers Became Data: Cataloguing Authorship during the Nineteenth Century,” British Journal for the History of Science 50, no. 1 (March 2017): 24 – 25. https://doi.org/10.1017/S0007087417000012. “Preface,” Catalogue of Scientific Papers Fourth Series (1884 – 1900) Compiled by the Royal Society of London, Vol. XIII (Cambridge: Cambridge University Press, 1914), v.
 Funnily enough, this scientist, a physiologist by the name of Michael Foster, became involved in the successor project to the CSP—the International Catalogue of Scientific Literature—in 1903. Csiszar, “Lives,” 23, 54 – 55. Alex Csiszar, “The Catalogue that Made Metrics, and Changed Science,” Nature 551, no. 7679 (November 2017); Csiszar, “Lives,” 52. More on the Catalogue and the changes it wrought on the scientific world is forthcoming in future blog posts. –Ed.